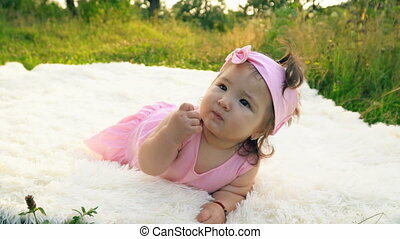 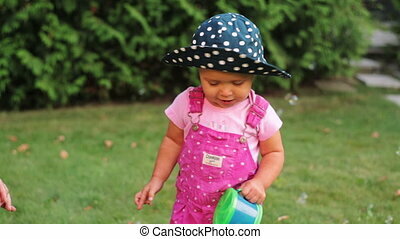 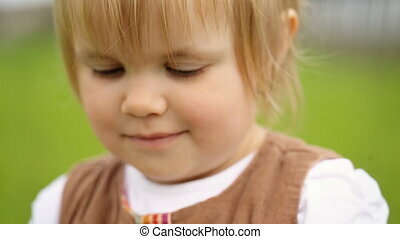 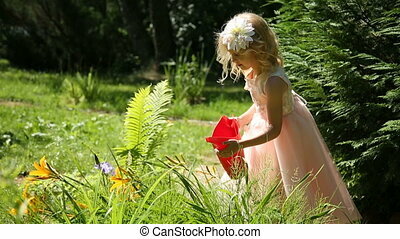 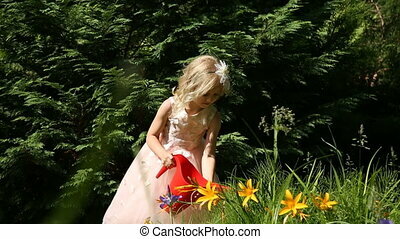 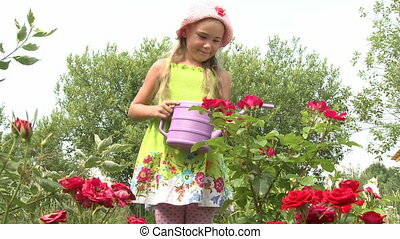 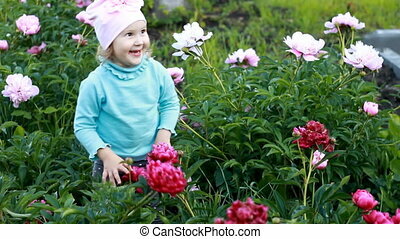 A little girl in the garden admires flowers. 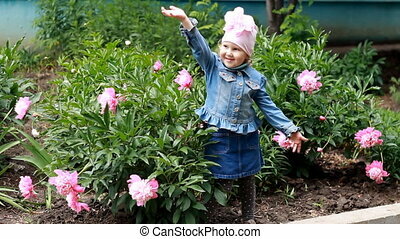 spring and wind. 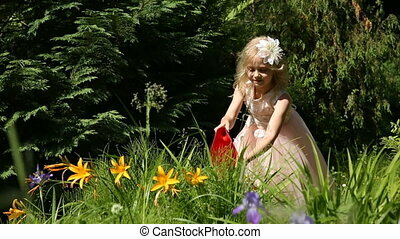 A Little Girl In The Garden Admires Flowers. 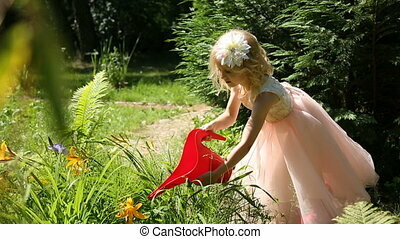 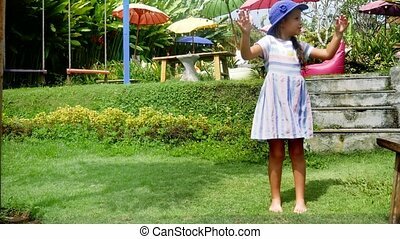 Little girl playing with pissabed in the garden. 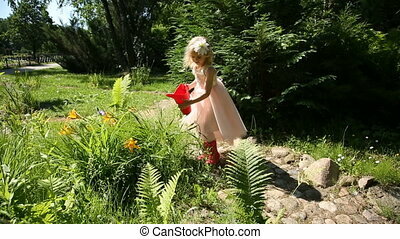 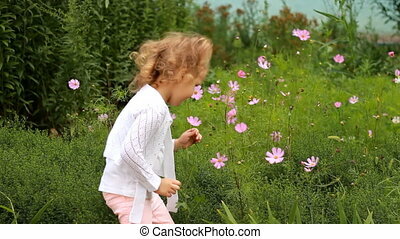 Child girl sniffs the scent of flowers in the garden on a windy summer day. 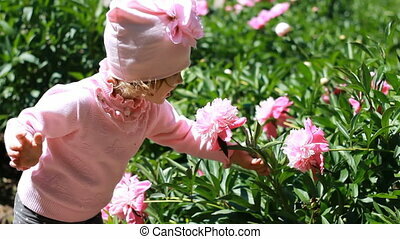 Child girl smells the aroma of peony flowers. 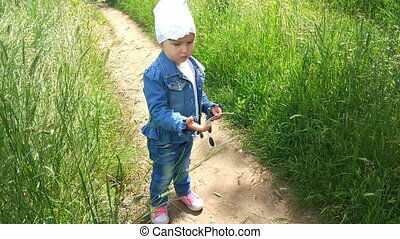 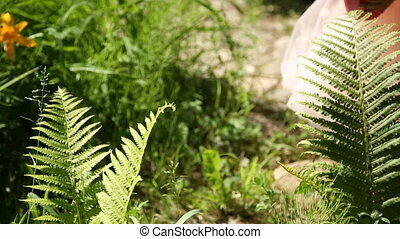 Baby walks in the garden. 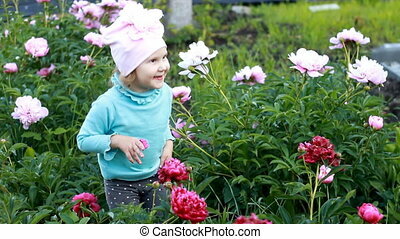 Child girl with a doll sniffs the aroma of peony flowers. 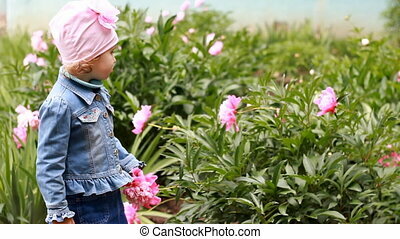 Baby walks in the garden with peonies. 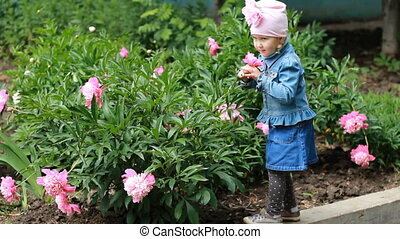 Child girl smells the aroma of peony flowers. 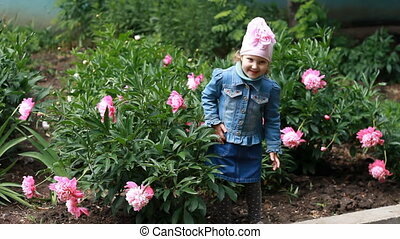 Baby walks in the garden with peonies. 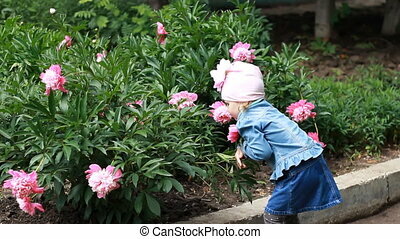 Child girl sniffs the aroma of peony flowers. 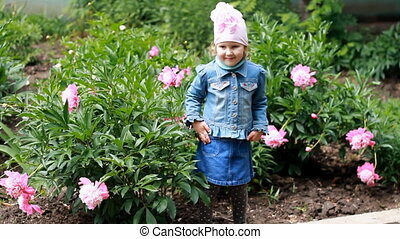 Baby walks in the garden with peonies. 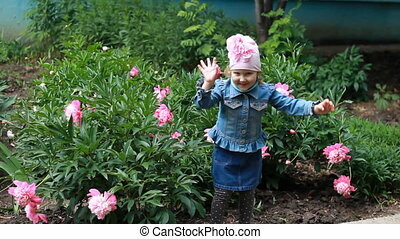 Child tries to tear a peony flower in the garden. 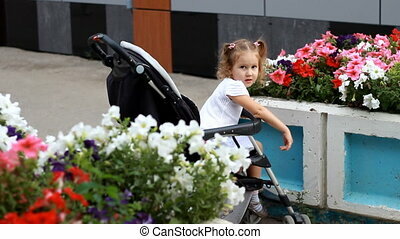 Child girl sitting in the stroller on a walk with mom in the park with beautiful flowers.